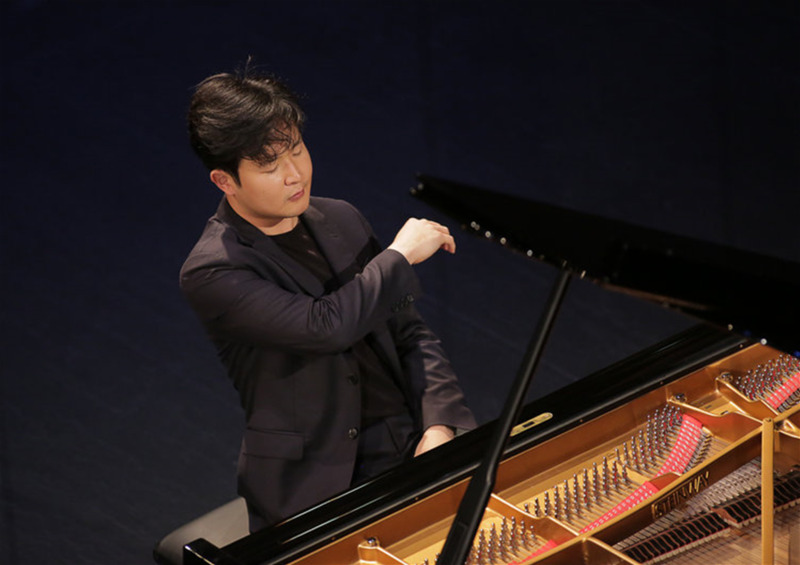 The first Korean to win Cliburn gold, Mr. Sunwoo launched his debut season in 2017–2018 with invitations to the Aspen, Grand Teton, and Duszniki International Music Festivals. Recitals will take him to Chicago, Houston, Los Angeles, and Vancouver, and he undertook a nine-city tour of the United States with the National Orchestra of Cuba in the spring. In Europe, Mr. Sunwoo made his United Kingdom concerto debut with the Royal Scottish National Orchestra under Cristian Macelaru, appearing in the first full season at the Elbphilharmonie in Hamburg, and performing in Brussels, Copenhagen, Istanbul, Madrid, Helsingborg, and across Germany. His appearances in Asia include those in Beirut, Taiwan, Hong Kong, and across South Korea.